This post is so interesting I have to quote it at length. It's from Eric Schwitzgebel's always interesting blog The Splintered Mind. Regular readers may recall that in 2009 Josh Rust and I surveyed several hundred philosophers and non-philosophers on their opinions about various moral issues; we also asked survey respondents to describe their own behavior on those same issues. Some preliminary results of the study are here, here, here, here, here, and here. People often do things they think are a little morally bad. For example, I think eating meat is slightly morally bad (on par with driving a gas-guzzling car or being somewhat neglectful of emails from undergraduates), and yet for lunch today I had a salami sandwich. 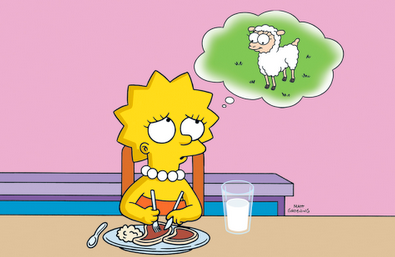 Apparently, a substantial proportion of young female philosophers think and act as I do: 38% of them reported having eaten the meat of a mammal at their previous evening meal -- a rate not statistically different from the 39% reported rate among respondents overall. (Caveat: The total number of female philosopher repondents born 1960 or later was small -- twenty-six -- so the exact percentage should be interpreted cautiously.) Similarly, despite the difference in normative view, there was no statistically detectable difference in the mean age of respondents who said they had eaten the meat of a mammal at their previous evening's meal: mean birth year 1954.3 for those who said they had vs. 1955.1 for those who said they hadn't. Our survey doesn't call into doubt the relationship between normative ethical view about meat-eating and strict vegetarianism: 78% of those who reported that they never eat mammal meat said eating mammal meat is bad, compared to 32% of those who reported sometimes eating meat. However, it seems that among non-vegetarians there is little if any relationship between normative ethical view and actual meat consumption: If you don't think eating meat is bad enough to warrant strict vegetarianism, but you still think it's somewhat bad, you're just as likely as anyone else, it seems, to have a salami sandwich for lunch. Conscience and behavior go separate ways. Many interesting things. The majority of ethics professors disapprove of eating mammals. Second, a whopping 81% of female philosophers born in 1960 or later (the under 50 FPs) disapprove. Wow! But equally surprising, "conscience and behavior go separate ways." The under 50 FPs eat mammals as much as anyone else in the survey. I wonder if Schwitzebel is jumping to conclusions when he tries to explain why the under 50 FPs eat about as much meat as anyone else in the survey. He surmises that it's because, like him, they think eating meat is just "slightly morally bad" (on a par with ignoring emails from undergraduates). He doesn't seem to have statistics that tease out who sees eating mammals as "slightly morally bad," or "seriously morally bad," or "bad enough to warrant strict vegetarianism." The statistics he presents don't seem to rule it out that some or many of the under 50 FPs who do eat meat, nevertheless see it as more than slightly morally bad. Here's the possibility I think we should take seriously. There are many people (the under 50 FPs and others) who do believe eating mammals is seriously bad, yet have a very difficult time giving it up. I have encountered a lot of people like that in my Animal Rights class. There's further confirmation in a study that shows that 42% of animal activists are not vegetarians. These people very likely think that eating mammals is more (or even much more) than slightly morally bad. If many people eat mammals but think it's seriously bad, what's going on? Well, mammals taste good. But I suspect there's a bit more to it. Experimental evidence needed! Footnote. In case anyone's worried about this, presumably Schwitzgebel is using eating mammals as merely a test case whereby to explore relationships between moral beliefs and behavior. He doesn't really mean to suggest that anyone's a strict vegetarian simply because they don't eat mammals.